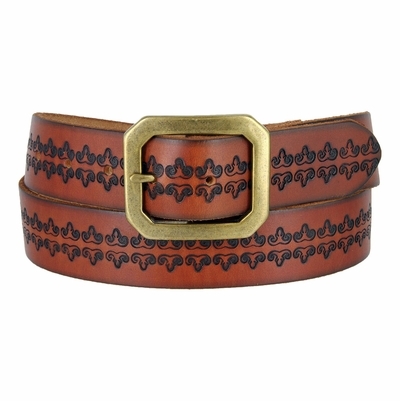 1 1/2" Wide brown tooled leather belt with a solid brass center bar buckle. A simple filigree tooling adds a memory of the 70's flair. This item ships same or next business day. No Sales tax for shipments outside of California.